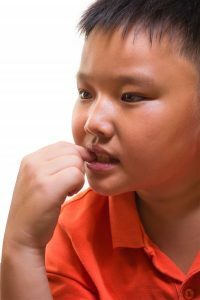 Does your child struggle with anxiety? Every child has some degree of anxiety in their lives. Some common stressors for children include the first day of school, making friends, and going to the doctor or dentist. Many parents want to help their children but are unsure exactly of how to do it. With that said, here are some ways to help your child with their anxiety. You never want to set too high of expectations for your child. You want to always try your best to stay realistic. For example, if your child is struggling to make new friends because they suffer from some degree of social anxiety, you need to realize it may take a while before they are comfortable in certain situations. Overcoming anxiety can be an uphill climb. Remain patient and continue to try and steer your child in the right direction. Many parents make the mistake of trying to eliminate their child’s anxiety. This is not the best course of action. It is not healthy to try and avoid the things that make your child afraid. Instead of attempting to remove the anxiety triggers in your child’s life, you want your child to learn how to manage it. Over time, this should make them less anxious about the stressors in their life. There are some situations where your child will require a little push. For example, letting go of the bike when they no longer have training wheels. However, it is important to remember that this is not always the best solution for getting a child to overcome their fears. In many circumstances, they will require a bit of time to overcome an obstacle. This entry was posted on Friday, July 27th, 2018	at 2:44 pm	. You can follow any responses to this entry through the RSS 2.0 feed. Both comments and pings are currently closed.